Rioja is situated in the north of Spain, south of Bilbao, between the rivers Oja and Ebro. The region has three distinct zones, Rioja Alavesa in the north, Rioja Alta in the highlands to the south (both around 400-500m above sea level) and Rioja Baja (around 300m above sea level), which borders Navarra to the east. Traditionally Rioja has been known for its deep red, oak flavoured wines but with changing tastes and increased competition with the New World wines, producers decided to modernise and add more fresh fruit flavours. The result has been a booming export market, particularly to the UK. Rioja wine is the product of a long and varied tradition of winemaking in this area, which began in 11th century BC with the Phoenician settlers. 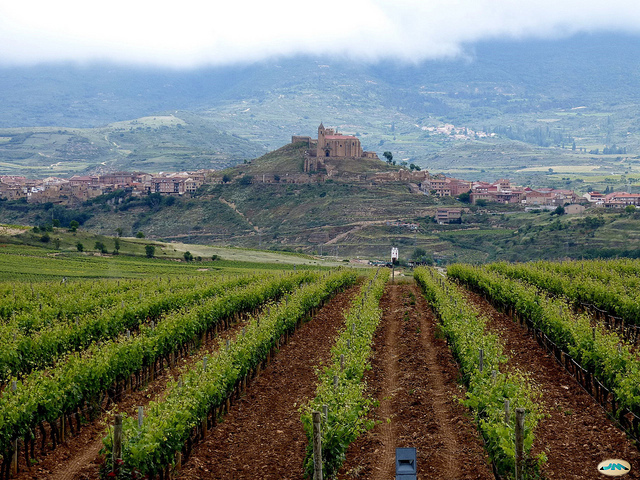 Many of the Rioja vineyards were founded by the Ancient Romans, as is the case with several of Europe’s most renowned wine areas. During the latter years of 19th century an epidemic of phylloxera, a worldwide pest of commercial grapevines totally devastated the Bordeaux wine producing regions of France. At this time the French influence took over in Rioja and some of the greatest wines were produced using the long oak ageing method, taken up very enthusiastically by the Riojans. Even today, when Rioja, along with Sherry proves to be the most internationally recognized Spanish wine, there are still several Bodegas making their wines in this oak ageing way. In 1970 the Regulations for Denominación de Origen were approved and in the early 1990’s the esteemed “Calificada” nomination was awarded to the Rioja region which made it the first Denominación de Origen Calificada (DOCa) in Spain. 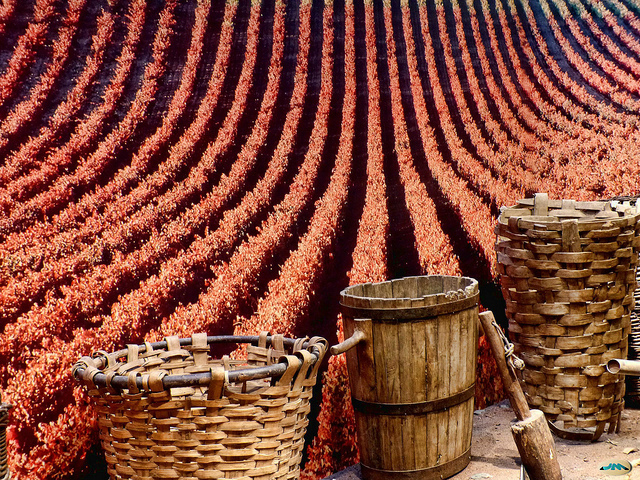 September to October is the usual harvest time for most of the Rioja vineyards and their varied grape varieties which make up red, white and rose wines. Red Rioja Wines (Tintos): Tempranillo is the most well known and widely used grape to make red wine (tinto). 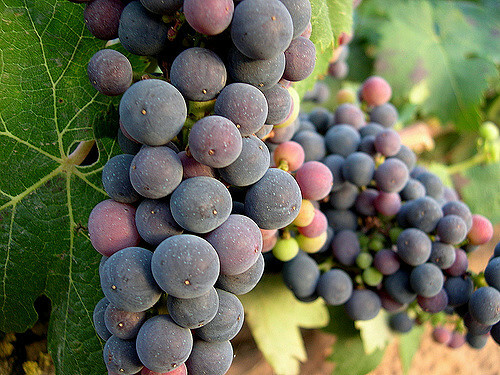 It is a black grape often referred to as Spain’s noble grape which ripens several weeks prior to the other varieties and provides the full bodiedness of red wines. A blend will usually consist of sixty percent Tempranillo and up to twenty percent of Garnacha, with much smaller proportions of Mazuelo and Graciano. Each and every grape makes the wine unique. The main flavour and aging potential of the wine comes from the Tempranillo grape, with the Garnacha adding body and alcohol, the Mazuelo seasoning flavours and the Graciano providing the aroma. White Rioja Wines (Blancos): The prominent wine here is the Viura, also known as the Macabeo which is blended with some Malvasia and Garnacha Blanca. The Viura supplies the fruit flavor, acidity and a small amount of aroma, the Malvasia adds further aroma and the Garnacha Blanca provides the full body. Rosé Rioja Wines (Rosados): Rose wines are generally produced from Garnacha grapes. The Rioja wine region is split into three sub-regions: the two cooler climates of Rioja Alta and Rioja Alavesa and the hotter area of Rioja Baja. All of them produce their own unique variety of Rioja wine. Rioja Alta: Located at higher elevations than the other areas and on the western edge of the region, Rioja Alta is famous for its fruity and smooth textured wines. Rioja Alavesa: This area produces fuller bodied wines with higher acidity, even though the climate is very similar to that of the Alta region. Within these vineyards the vine density is low and the rows are well spread out with plenty of space between each. The reason for this is that the condition of the soil is relatively poor so the vines need to be distanced so as not to be in competition for the nutrients contained within the soil. Rioja Baja: This region is strongly influenced by the Mediterranean climate making it the driest and warmest areas of Rioja. In fact, the summer month droughts can be a serious hazard even with the more recently permitted irrigation systems in place. With some wines reaching 18% volume, this deep red coloured wine can be highly alcoholic when consumed in quantity. The wines do not normally have much aroma or acidity and are more often that not used with wines from the other regions as blending components. The classification of wines may appear in writing on the front label or on the neck or back label of the bottle in the form of a stamp known as a ‘consejo’. Sin Crianza: This is the youngest of the Rioja wines which are often intended for consumption during the first year. It is not aged in oak barrels. The wine label usually takes the simple title of ‘Rioja’. Semi Crianza: These wines have only had a few months in oak, hence not being able to be given the title of a full Crianza. Vino De Crianza: Crianza wines are aged for at least two years of which one must be in an oak barrel. It cannot be sold before its 3rd year. Rioja Reserva Reserva wines are aged for at least three years of which one must be in an oak barrel. They are then aged for a minimum two years in the bottle. Rioja Gran Reserva The highest quality of Rioja wines undergo at least five years of ageing of which two years must be in oak casks and three years in the bottle. Reservas and Gran Reservas are not produced every year. Crianza: Must be aged for six months in oak casks. Reserva: Must have two years ageing with a minimum of six months in oak casks. Gran Reserva: Must have four year ageing with a minimum of six months in oak casks. When visiting Spain’s largest and most popular wine tasting area, you will find that although Logroño is known as the capital, the real heart of the region is, without doubt, Haro which is around 40km away. Cune, La Rioja Alta and Muga are just some of the areas most prominent bodegas and within easy driving access you will find numerous wineries of top class standard, namely Bodegas Palacio Haro, Marqués de Cáceres, Marqués de Riscal, and Remelluri along with many more. Getting There: The nearest regional airports to the Rioja area and its wineries are Bilbao and Logroño-Agoncillo. Although a few direct flights to Bilbao are available, if travelling to the smaller airport of Logroño-Agoncillo you would first need to take a flight to Madrid or Barcelona and then continue on the second part of your journey. Although quite a few of the wineries will allow you to join in with a guided tour if you happen to arrive just at the right time, it is really advisable to make an appointment at a pre-scheduled time in order to avoid disappointment. If you would like to have the wine-tasting completely prearranged for you, then the simple and straightforward way to do this is to book yourself onto an organised winery tour beginning locally or from as far afield as Bilbao or Madrid. I have always wondered what the different colour Rioja labels on the back mean???? Once again you have managed to excel in your description.